Ask any plumber what the busiest day of the year is for their business, and you’ll hear the same answer: “The day after Thanksgiving.” While most people think of this day as “Black Friday,” when special sales bring holiday shoppers flooding through the doors, for plumbers this is “Grease Friday,” when homeowners are dealing with the consequences of kitchen plumbing that couldn’t handle the chores of Thursday night’s feasting. 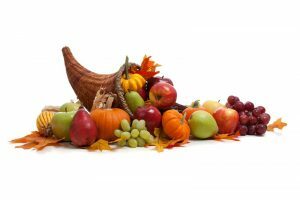 Thanksgiving is often one of the busiest work periods for professional plumbers. With the amount of cooking and cleaning and disposal of food that happens in kitchens around this time of the year, clogs and busted garbage disposals are extremely common repair jobs. However, most of these problems can be avoided by taking the right precautions. We’re always here to help you whenever you need emergency plumbing in Fullerton, CA or elsewhere in our wide service area throughout Southern California. However, we understand that you don’t want to spend time away from your family having to deal with a plumbing trouble. Below are some tips that will help you take good care of your kitchen plumbing at this time of the year.